Here's a quick explanation of the Figure 8 flight adventure: It's incredible! 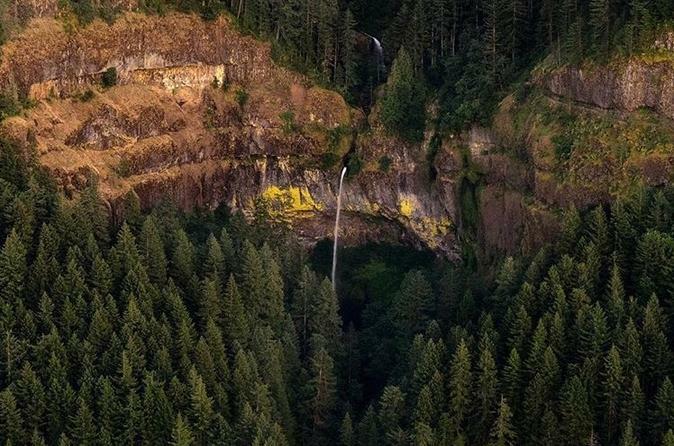 First things first, we'll take off on your private flight through the beautiful Columbia River Gorge. Meander over the gentle Columbia River surrounded by towering pine trees and ancient cliffs while treating yourself to views of dozens of waterfalls. Then head to the west toward Portland and behold dazzling views of the city's many bridges, towering buildings that sit between the Willamette River and the west hills. This flight is truly an incredible experience and we guarantee you'll absolutely love it.